Preparation and proactive planning in advance of disasters is a crucial part of the disaster recovery process. That’s why Good360 invests time taking action before the storm as well as afterwards. Our focus on preparation is partially reflected through our kitting events. 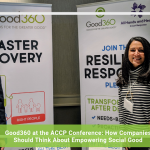 Each year, Good360 offers a number of opportunities for business and nonprofit partners to put together care packages to support survivors in the initial stages of disaster. 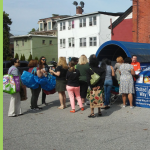 These kits provide the essentials for families who show up to a shelter with nothing more than the clothes on their backs and perhaps a few valuables they thought to save as they evacuated their homes. Kitting events also give Good360 an opportunity to educate company employees on how to give purposefully during times of disaster. In many situations, employees want to help but don’t know how to. Unfortunately, the reality is that up to 60% of unsolicited goods donated during disasters end up in landfills or otherwise going to waste because they are not the right goods at the right time. 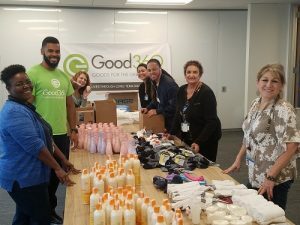 Kitting events give employees a chance to produce donations that truly can be used, and Good360 can have a dialogue with people about what to give, how, and when. 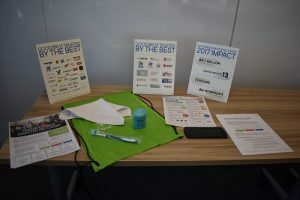 Cigna, a global health service company, recently hosted three kitting events with Good360 for their employees in their Hartford, Denver and Houston offices. Altogether, Cigna and Good360 team members created 900 disaster response kits with $15,000 worth of product. Those kits will be donated to vetted nonprofits for disaster preparedness and response. In Hartford, members of Cigna’s Leadership Development Program used their break to help build 300 kits and even stayed longer to help break down boxes and get the kits ready to ship to shelters in North Carolina. In Denver, 300 more kits were built and sent to Florida for prestaging before a disaster. Just two weeks later, Michael hit the Florida panhandle and the kits were already nearby and ready to be deployed exactly when they were needed most. In Houston, the kit-building event introduced coworkers to each other who had worked in the same building for years but had never spoken. Many employees also had friends and family members who were affected by Hurricanes Harvey and Michael. Their personal concern translated into good deeds that will restore dignity to 300 families when these kits are needed. The assembled kits included soap, shampoo, toothbrushes and toothpaste, towels, first aid supplies, and wet wipes. 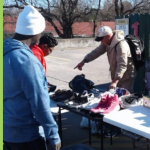 They were then sent to Good360’s long-time nonprofit partner, Goodness Outreach Depot, for deployment where they were most needed. The timing was crucial; the first 600 of these kits were used directly in support of Hurricanes Florence and Michael. The last 300 will be used the next time a major natural disaster strikes in the United States. The immediate need for these items showed employees the importance of having these kits available at the right time. 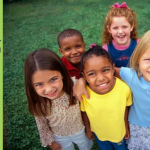 Good360 highly values its partnerships with companies like Cigna because they give us the opportunity to deliver on our own mission to positively affect lives. 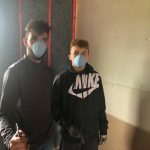 Our amazing team of Cigna employees also helped support an approach to disaster-giving grounded in purpose, thoughtfulness and truly understanding the needs to be met. We cherished our time with our friends at Cigna in Connecticut, Denver and Houston and look forward to seeing the good these kits do for families in need. If your company is interested in hosting a kitting event to help with disaster preparedness, please contact Jim Alvey, Director of Partnerships, at jalvey@good360.org.